Industrial revolution coupled with technological advancements has taken our species to new horizons. However, this has come at a cost. The cost being our planet’s suffocation. Global warming is increasing day by day and the level of pollution in cities is becoming a serious threat. This is not happening in some remote country on a distant continent. This is happening in India and the smog situation in Delhi is a prime example. Natural resources are depleting and renewable energy is looked upon as an alternative source that will keep fueling technological advancement. As a result, the automobile industry has looked at electricity to charge four-wheelers and two-wheelers instead of using non-renewable resources. With a modification in the vehicle manufacturing process, it is natural that the services associated with it will also change. Thus, the introduction of e-bikes in India has also affected its insurance sector. Read ahead to know the details about insurance for electric two-wheelers in India. What Is An Electronic Two-wheeler? Two wheelers that run on electricity are termed as e-bikes or electronic two-wheelers. Just as regular bikes need petrol as fuel, these bikes need electricity. They are charged in the same manner as any other electronic gadget is charged. Instead of fuel stations, there are charging stations for such bikes. Electronic bikes have already made inroads in some foreign countries but they are still not popular in India. Is It Necessary To Insure An Electronic Bike In India? As the electronic bike industry is still in its nascent stage in India, the rules and regulations related to it haven’t yet been established firmly. The exact nature of the rules surrounding registration of electronic bikes and insurance is up for debate. When e-bikes were introduced, it wasn’t necessary to register or insure a bike that fell under the category of 250 watts and had a maximum speed of 25kmph. However, recent reports suggest that the authorities are keen on including all electronic bikes under the purview of The Motor Vehicles Act. This would mean that the owners of electric two-wheelers will have to follow the rules and regulations stipulated for fuel-driven two-wheelers. Thus, registration of the vehicle, purchasing 2 Wheeler Insurance, wearing a helmet, etc. shall be applicable to electronic two-wheeler owners as well. How To Calculate 2 Wheeler Insurance Premium? The easiest way to know the cost of your two-wheeler insurance policy is to check out a two-wheeler insurance premium calculator. Digitally-savvy insurance companies have a dedicated section on their website that features a two-wheeler insurance premium calculator. Some companies have their user journeys structured in a way that you get to know your bike’s insurance quote within minutes. You just need to fill in basic details and a personalized quote shall be generated for you. However, things get a bit tricky in case of electric two wheelers in India as they might not be listed on an insurance company’s website. In such cases, you can get in touch with the insurance company through social media, via email, or by calling them to know whether they insure electric two-wheelers or not. Purchasing two-wheeler insurance online has become extremely easy. However, as electronic two-wheelers are a relatively new concept in India, purchasing an insurance policy for your electric two-wheeler is different than the process followed for a fuel-driven bike. Usually, the cost of insuring a bike also takes into consideration its engine’s cubic capacity (cc) and the place where the bike is registered. 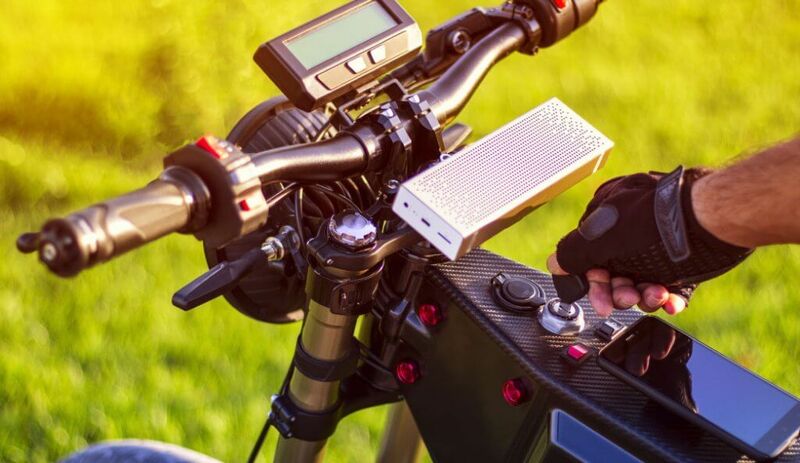 However, rules regarding the power of an electronic bike need to be streamlined and certain two-wheelers might not be needed to be registered as of now. Therefore, the owners of such vehicles need to get in touch with the insurance company and discuss ways in which the electronic bike can be insured. Importance of Roadside Assistance Cover For Two-wheeler Insurance? Why is Bike Inspection Necessary for Insurance?